I recently did a talk at the library in Lake City and was asked to submit answers to questions from a reporter from the Lake City Reporter for an article in advance of the talk. The questions really made me think, so I thought it was worthy of a post. 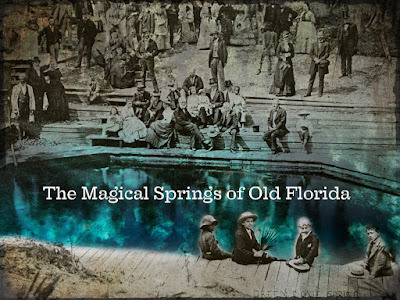 1) My first question has to do with the Sunday event and your program, entitled “The Magical Springs of Old Florida”. What specifically can event attendees expect when they come to see you? What are some points of discussion that you're hoping to engage the audience in? Will there be book signings or readings? Basically, I'm just hoping for a little rundown on what you are going to talk about. My program features a Powerpoint presentation with images illustrating 500 years of Florida history. 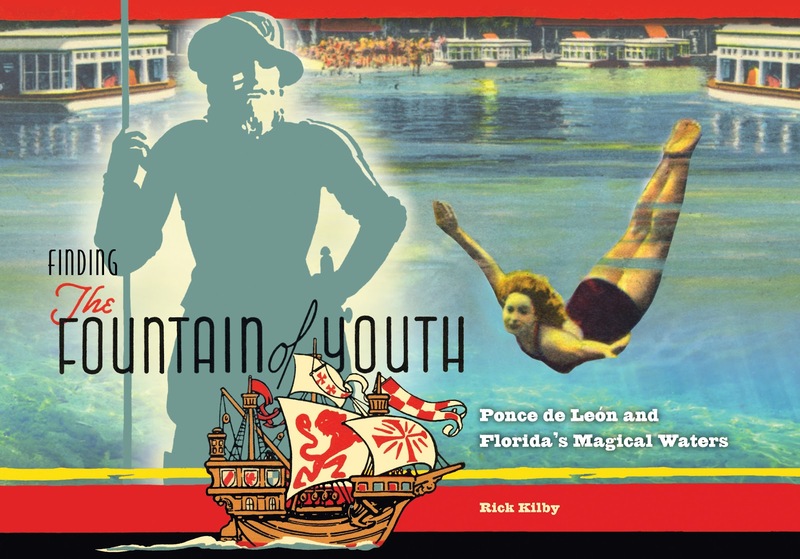 The narrative begins with my obsession with the Fountain of Youth myth and how it led me to discover how Florida’s real eternal waters are the state’s 1,000 artesian springs. I talk about how the human perception of the state’s springs has changed throughout time from an attitude of reverence by the indigenous residents of the state to a willingness to over-utilize this natural resource today. I hope to engage the audience in a discussion about what they can do for our springs. 2) Is it true that you've studied Florida's history for 25 years sir? When did you get your start in writing and designing and why? Any stories or memories you have as a kid that involved the arts? Do you live in Orlando now sir? And where did you grow up? While my appreciation of Florida’s rich history has certainly grown, as I’ve gotten older, my real serious study really began after a trip to the Fountain of Youth in St. Augustine in 2008. As a Floridian I had overlooked roadside attractions as ‘tourist traps’; my discovery at the Fountain of Youth showed that these roadside relics may have historical relevance that I’d overlooked and I resolved to explore the places in the state I’d taken for granted. That’s when I started my blog. I grew up in Gainesville and my parents enrolled me in art lesson as a child. Perhaps my favorite memory was getting a blue ribbon for a small painting I did at the Alachua County Fair when I was an elementary school student. I also remember visiting art shows in downtown Gainesville every year. 3) Why does Florida interest you so much? 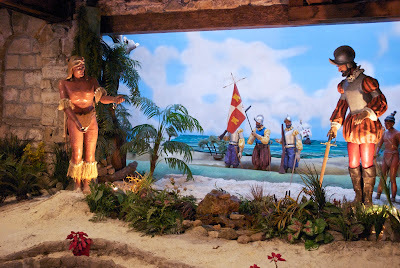 Why specifically did you write about Ponce de Leon and our springs? I think because I am a graphic designer I was initially drawn to the kitschy aspects of Florida. Pink flamingoes, midcentury motels with neon signs, giant roadside alligators. But as I learned more I discovered that Florida has a rich history that is endlessly fascinating to me. The first Thanksgiving was in St. Augustine. Air conditioning was invented here. I keep discovering more and more to love about this state. But we have done a poor job of preserving our past in our seemingly ceaseless desire for growth. Searching for what I call Ponceabilia is kind of a treasure hunt. I call Ponce ‘Florida’s original celebrity endorser’. His likeness could be found on hotels, restaurants, and in public parks statewide in the first part of the 20th century. But as our perception of European explorers changed, much of the ephemera connected to Ponce disappeared. So finding 21st evidence of the Spanish explorer was a thrill. Growing up near so many springs in Gainesville, it was easy to take them for granted. When I discovered that many of them were at risk, I was motivated to see for myself how much they had declined. 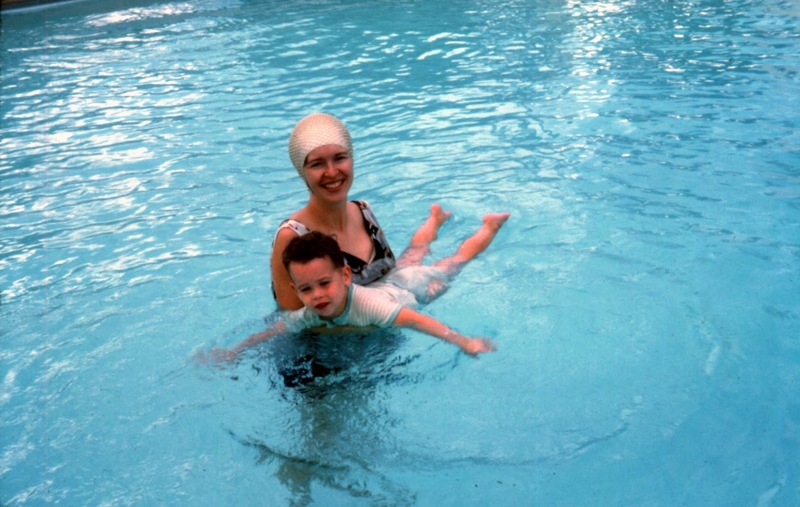 I was shocked, for example, to see how much the conditions of Silver Springs had changed from what I remembered as a child. 4) What influences factor into your work? Do you have any favorite authors or artists that you follow? 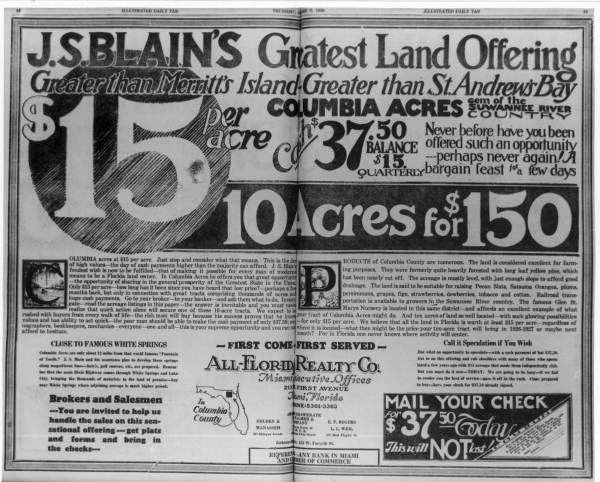 I’m influenced by historic advertising and graphic design from Florida’s past; from the ornate ads for Henry Flagler’s Victorian resorts to the colorful brochures for midcentury roadside attractions. I continually add to my collection of Floridiana. I’m inspired by many of the photographers who capture images of our springs, especially Gainesville nature photographer John Moran. I’m influenced by the way Gainesville artists Margaret Tolbert and Lesley Gamble both combine creativity and advocacy. I also love authors who document Florida’s offbeat history like fellow UPF authors Gary Monroe, Lu Vickers, and Tim Hollis. 5) Could you expand a little bit on your blog that you started in 2008? The blog initially started as a place for me to record my travels and discoveries from around the Sunshine State. I started an Old Florida Facebook page to promote the blog and soon that page had a far larger audience than the blog. Since my book was published in 2013 and I began doing public speaking to support it, my blogs have been fewer and more personal. One of the benefits of traveling around the state doing speaking events is that I get to see parts of the state I wouldn’t ordinarily get to see. I try to write about them when I can find the time. 6) What type of projects have you been involved in since Kilby Creative started? I’ve done work for a wide array of clients from theme parks to the produce industry. Although I’ve been primarily a print designer, I now find myself doing more social media marketing. My true love is doing artwork related to Old Florida, however, and you can see a display of my work at the Rum 138 Gallery near High Springs in Columbia County. 7) What do you consider some of your best achievements in the authoring and designing field sir? Have you been nominated for any awards? 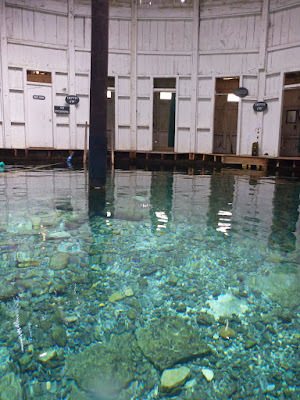 Are you planning on doing another work such as Florida's Magical Waters? What would you like to tackle next? As a Florida author I’ve had the privilege to meet and speak with many artists and authors who I greatly admire: the aforementioned John Moran, Lesley Gamble, and Margaret Tolbert, Cynthia Barnett, Carlton Ward and the other members of the Florida Wildlife Corridor expedition, and Jeff Klinkenberg, just to name a few. 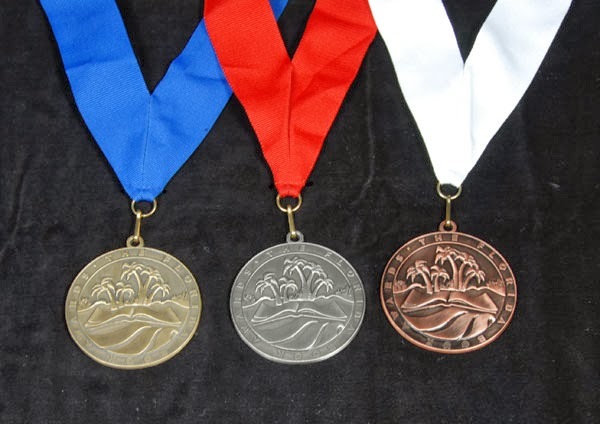 My book received the bronze medal in the Visual Arts category of the 2013 Florida Book Awards. I was fortunate that my publisher, University Press of Florida, allowed me to design my own book. So I take a great deal of pride in that award. I’d love to write another book related to Florida history; my mission is to create greater awareness of Florida’s history, culture, and natural resources. Publishing another book would give me the opportunity to further that mission. When I arrived in Tarpon Springs, for a second speaking engagement, I was pleasantly surprised to find the Lunch and Learn program had sold out! After a great talk, I spent some time shopping for antiques, and found a great gift for my wife's birthday. I look forward to learning more about the Greek cultural influences in that historical town in the future. My February Myth and Magic talk in Gainesville with the remarkable Margaret Tolbert was a huge success, with a standing room only crowd, and many great friends showed up. It is hugely rewarding to receive compliments from people I greatly admire at the end of a talk. In Green Cove Springs, my wife and I were treated to a tour of the historic spring and the 'lost' site of Magnolia Springs. The Clay County Historical Society overwhelmed us with hospitality and kindness. I also did presentations in Ocala, Enterprise, Deltona, Lake Alfred, and Viera. After the Enterprise event I met some Facebook friends in person for the first time, and the result was the Spring Hunters, a Facebook group with almost 2,500 members. In addition, I presented at the "Give Springs A Break" program at Ginnie Springs, at USF in Tampa, to a class of 4th graders in Orlando, and I did a talk about "Being in the Flow" at my church. I took June off in order to take a much overdue vacation. The highlight was taking the waters at the historical Jefferson Pools of Warm Springs, Virginia. My self-proclaimed Magical Memories Summer Tour began in mid-July with a great stop at the tiny town of Reddick in Marion County. The mayor showed us the New Deal-era gymnasium and the library soon filled with an attentive crowd. Afterwards they shared memories of swimming in Magnesia Springs and one person told us her mom made the costumes for the Weeki Wachee mermaids. A week later I got out of my comfort zone for my first presentation that was not connected to my book in over a year. My talk "From Sand Mountain to the Coral Castle: Roadside Attractions and the Dixie Highway" helped launch the the Polk County History Museum's new exhibit about the Dixie Highway. Again my wife and I were moved by a kind, supportive audience. I love it when folks share firsthand memories of the places I talk about. Some of these historical sites no longer exist, and when I hear about them from someone who knew them firsthand, it is extremely rewarding. Those are magical moments of connection that keep me motivated! The PechaKucha this Friday in Orlando will give me an opportunity to connect to large crowds, two audiences of around 300 people! Tickets are still on sale for the second show. Learn more here. 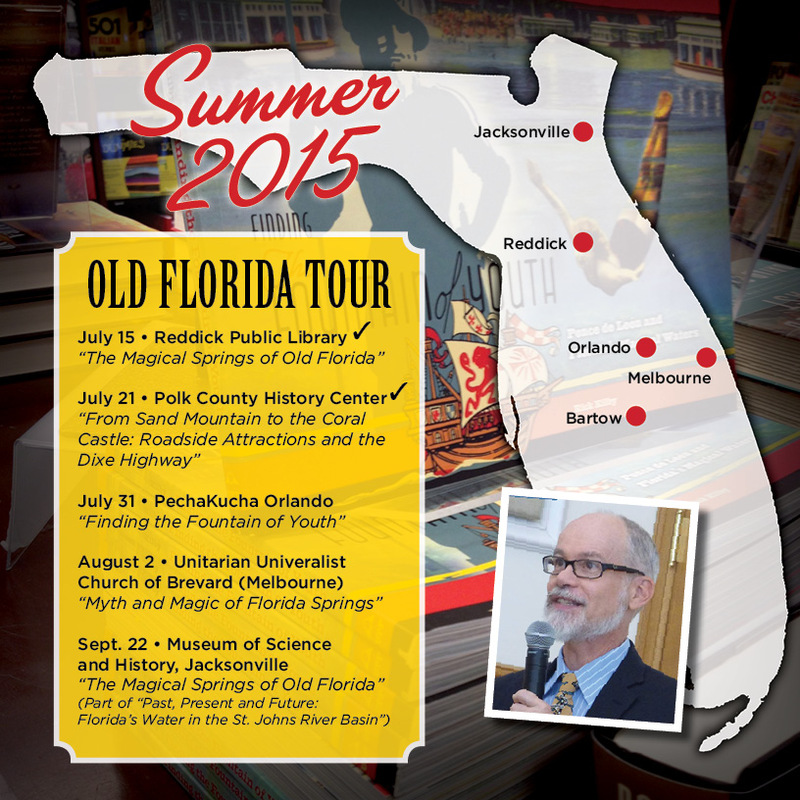 Coming up this fall: Micanopy, Dunnellon, St. Augustine, Brooksville, and Lake City! My 2015 speaking schedule begins Wednesday, January 14 at the Cultural Center in Tarpon Springs. This is my second visit to the Gulf coast town so my talk will be about "The Magical Springs of Old Florida." The Cultural Center is located at 101 S. Pinellas Avenue. The 11:30 am presentation includes a box lunch and costs $17 for non-members, $15 for members and students. 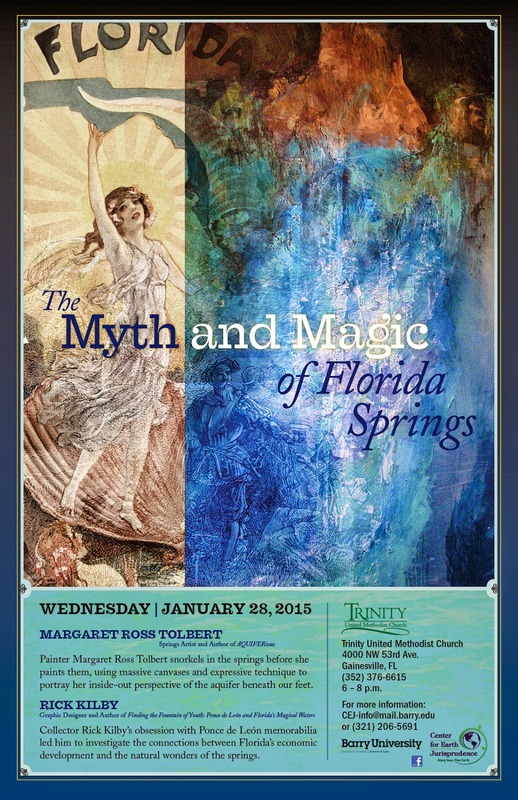 Later in the month I will be speaking with artist Margaret Ross Tolbert at Trinity United Methodist Church in Gainesville, as we take the Center for Earth Jurisprudence's "Myth and Magic of Florida Springs" series on the road. Margaret has been a huge inspiration and her book "Aquiferious" is a beautifully designed resource and a must for any lover of Florida's springs. The free program will take place on Wednesday, January 28 at 6 pm. Trinity United Methodist Church is located at 4000 NW 53rd Avenue in Gainesville. In February I will speak at the Clay County Historical Museum in Green Cove Springs. The talk is scheduled for 10 am on Saturday, February 21st. On Saturday March 7th, I am scheduled to present at the Enterprise Heritage Center and Museum at 2 pm. This presentation of the "Magical Springs of Old Florida" will explore the history of some of the springs of Central Florida. And finally on May 7th, I am scheduled to speak at MacKay Gardens in Lake Alfred. My own journey to the Fountain of Youth began a few years ago at Thanksgiving, when my family gathered for the holiday weekend in St. Augustine. My wife and I arrived early to take in some of the sights, and our first stop was the vintage Fountain of Youth attraction, which was near our hotel. Whether it’s all factually accurate or not, I loved it. Mechanized mannequins surrounded a small “spring” near an outline of a cross in rocks supposedly put there by Ponce himself. A planetarium featured a presentation about how Spanish explorers navigated across the sea using only stars. Displays portrayed recent archaeological finds at the site. Peacocks wandered the lush grounds. That visit to the Fountain of Youth was like breaking into a whole new world. 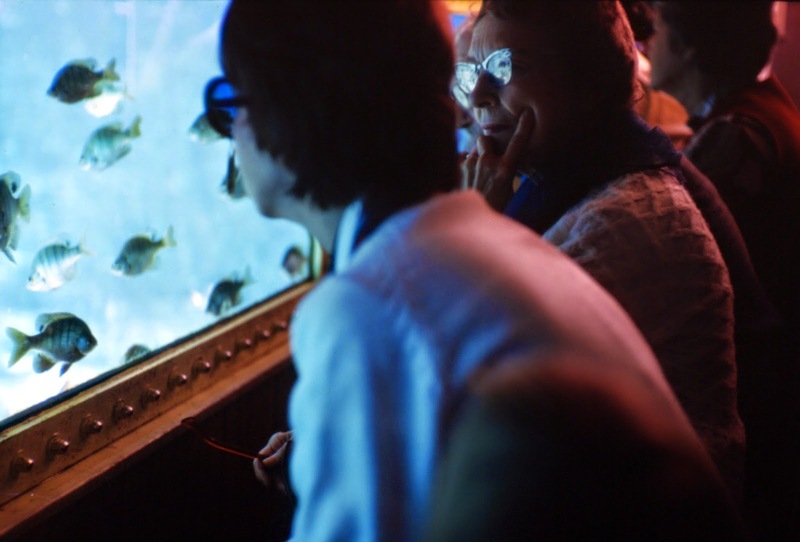 It went against years of conditioning: When I was a boy, my parents had carefully steered clear of Florida’s roadside attractions, deeming them “tourist traps.” While it can’t be compared to today’s mega-theme parks, I found the Fountain of Youth to be fun, interesting, and beautiful. – From the introduction of "Finding the Fountain of Youth"
Part of being a Floridian is having a relationship with water. Florida was settled from the outside in – the state's interior was so swampy that the only reliable means of transportation was its waterways: oceans, rivers, and lakes. 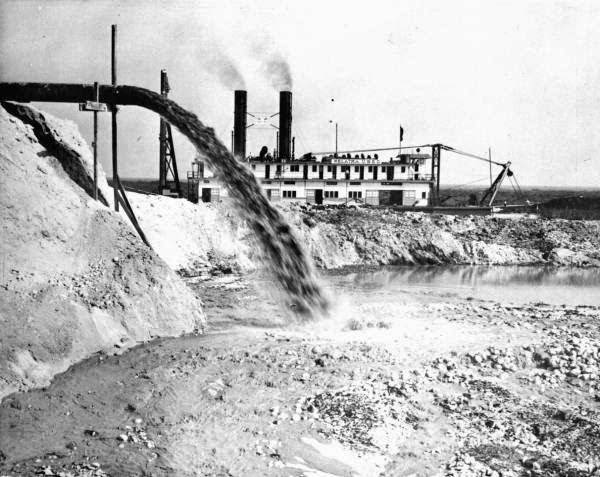 To make water traffic more efficient, canals were dug between water bodies to transport goods and and materials. Shallow bays and harbors were dredged and the sand and muck removed in the process became desirable dry land, land that became desirable real estate. The boom was on. In the days before air conditioning, folks were drawn to the water to escape the heat. Springs became sources of recreation, and beachfront communities developed along the coasts. 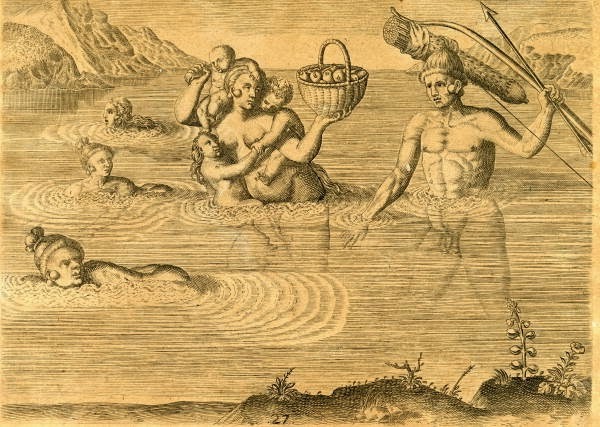 Even before Europeans arrived, the indigenous people had an intimate relations with Florida's water. 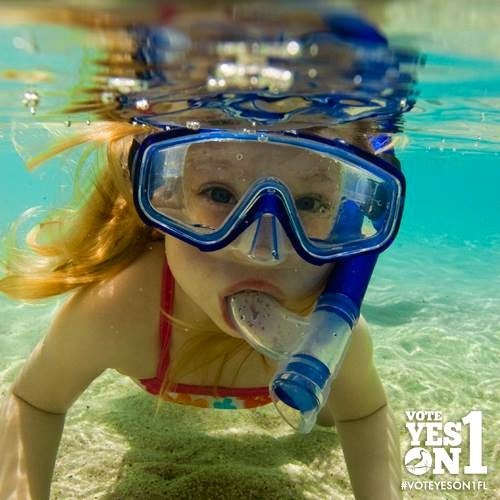 For countless generations life in Florida has revolved around water, and much of my favorite childhood memories are connected to water. Boat trips on the St. Johns River, fishing on the Ocklawaha, flying off the rope swing at Welaka Springs. Swimming lessons at the neighbors pool, driving to Crescent Beach to watch the sunrise. Lobstering in the Keys, sailing in the gulf. You get the picture. "Floridians Crossing Over to an Island to take their Pleasure", based on the artwork of Le Moyne. 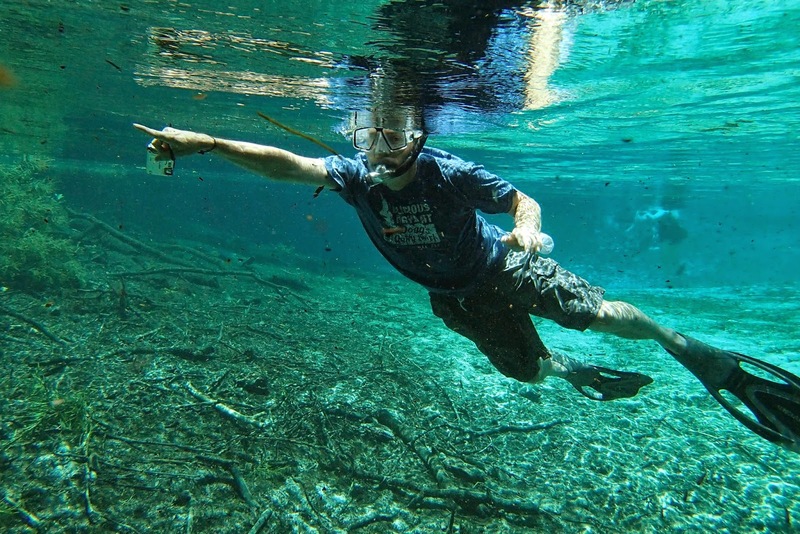 My relationship with water turned from recreation to advocacy while writing "Finding the Fountain of Youth" when I became aware of the declining state of Florida's springs. I helped promote the petition to get the Florida's Water and Land Legacy initiative on the ballot (now Amendment 1). In my opinion, the lawmakers in Tallahassee cannot be trusted to be adequate caretakers of our sacred waters. Amendment 1 would force them to purchase environmentally sensitive lands and ensure future generations have Healthy water resources to enjoy. Learn more about the amendment here. As part of the Springs Eternal Project, I have worked hard to create awareness of the state's water issues with my partners artist/professor Lesley Gamble and nature photographer John Moran. 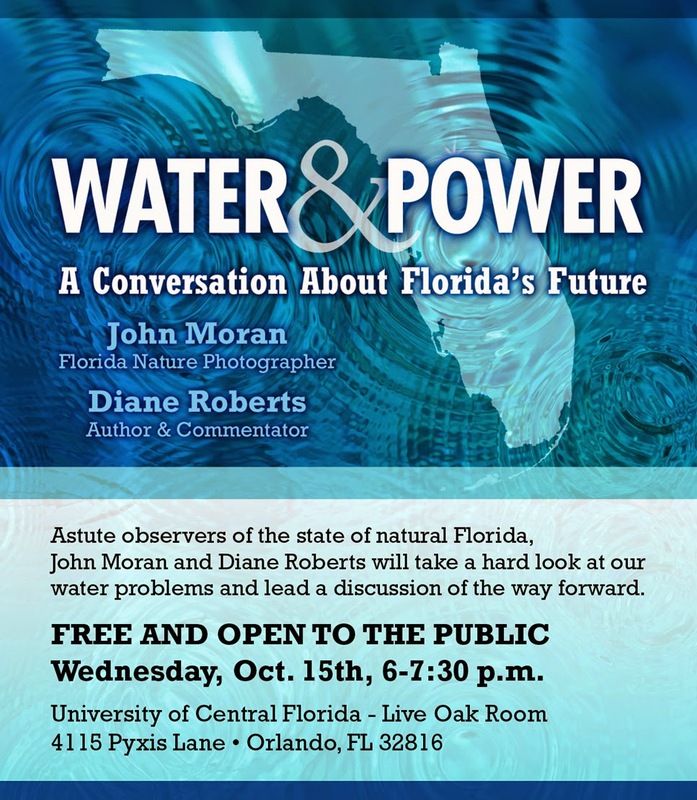 John will be in Orlando on Wednesday speaking with FSU professor Diane Roberts. Both John and Diane made headlines this year for similar reasons. In May John's images were removed from the Office of Greenways and Trails website, possibly due to his outspoken criticism of Tallahassee politicians for their inability to pass meaningful springs protection legislation. Diane had a similar experience a month earlier when a speaking engagement in Tallahassee was abruptly cancelled. As the November election looms near, Florida voters have an opportunity to send a clear signal to state lawmakers that protecting our environment is important. 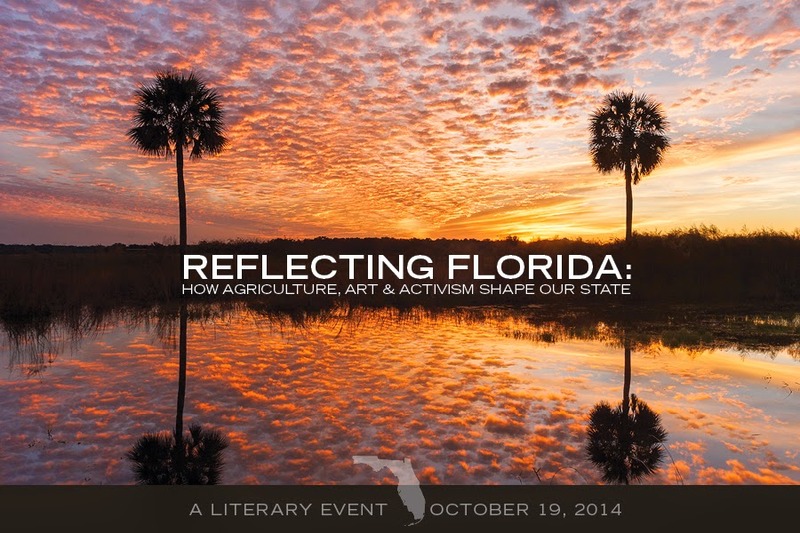 I'll be speaking at an event called Reflecting Florida: How Agriculture, Art, & Activism Shape Our State this Sunday, October 19th at Orlando's East End Market. My portion of the day-long event will be contributing to a panel with the topic "State of water: Image and Impacts" at 11 am. 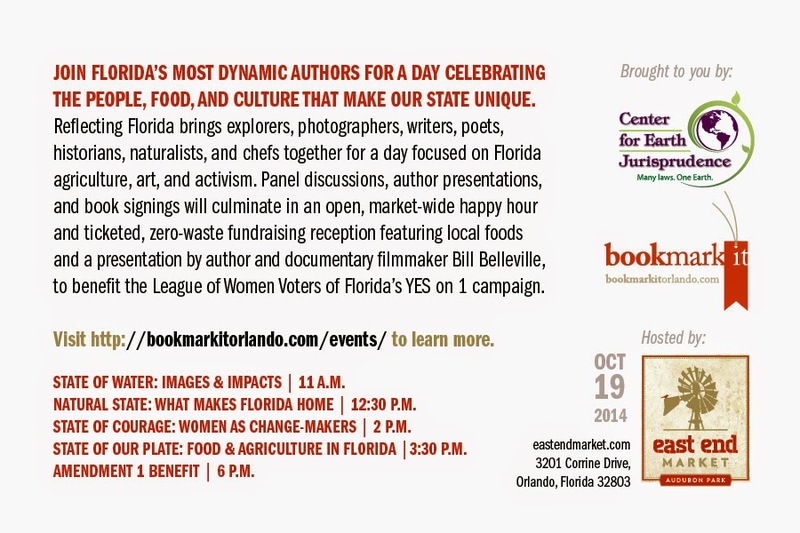 Other panel discussions include: "Natural State: What Makes Florida Home", "State of Courage: Women as Change-Makers", and "State of Our Plate: Food & Agriculture in Florida." Check this website to see a list of the wonderful presenters scheduled to appear. 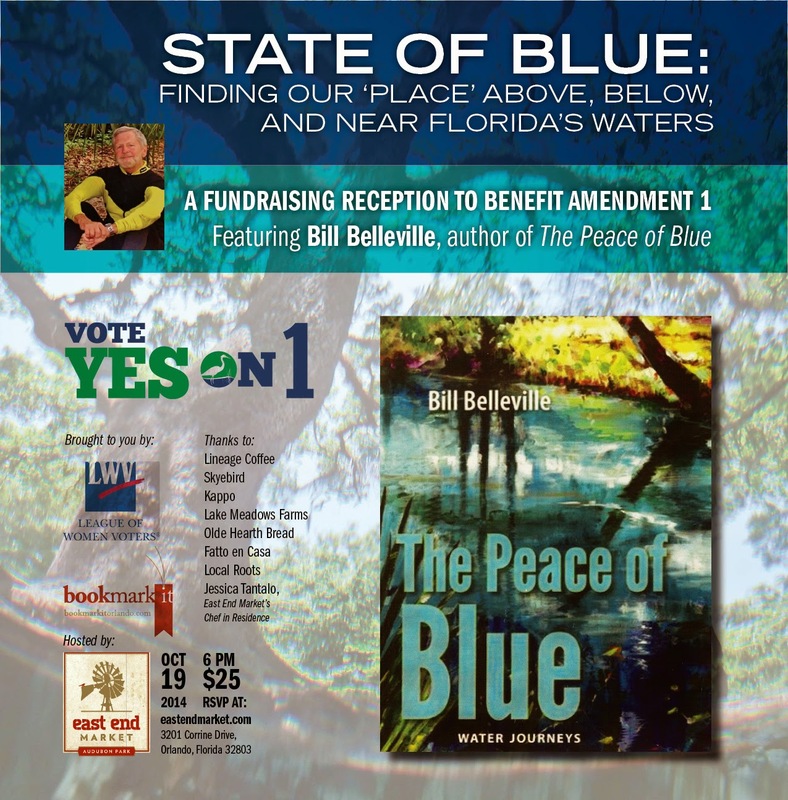 The day culminates in a reception with Bill Belleville, who will talking about his latest book "The Peace of Blue." Cost is $25 and proceeds go to support Amendment 1. Our quality of life in the Sunshine State is dependent upon clean water. I invite you to vote for Amendment 1 and attend one of these events to see how you can make a difference in creating a legacy of abundant water. I am honored to announce that "Finding the Fountain of Youth" has been awarded the bronze medal at the Florida Book Awards in the category of Visual Arts. The Florida Book Awards are coordinated by the Florida State University Libraries and co-sponsored by the Florida Center for the Book, the State Library and Archives of Florida, the Florida Historical Society, the Florida Humanities Council, the Florida Literary Arts Coalition, the Florida Library Association, "Just Read, Florida!," the Governor's Family Literacy Initiative, the Florida Association for Media in Education, the Florida Center for the Literary Arts, Friends of the Florida State University Libraries, the Florida Writers Association, and the Florida Chapter of the Mystery Writers of America. An annual awards program that recognizes, honors, and celebrates the best Florida literature and books about Florida published in the previous year, the Florida Book Awards recognize winners at a luncheon hosted that day at the Florida Governor's Mansion by the First Lady. I am proud to have my book recognized for such a prestigious award and humbled to be included in the company of some Florida's most significant authors. I will speaking at museums all over the state this month and hopefully you can catch me at one of the following the events. On Friday, March 7th I will be at the Amelia Island Museum of History at 6 pm. 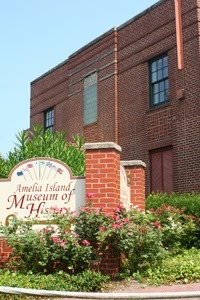 The museum is located at 233 South 3rd Street in Fernandina Beach. On Wednesday, March 12th I will be the featured speaker for the South Florida Museum's Think+Drink promotion at 7 pm. The South Florida Museum is located at 201 10th St W. in Bradenton. My Finding the Fountain of Youth exhibit is also on display at the museum through April. On Wednesday, March 19, I will be speaking at the Tarpon Springs Heritage Museum's Lunch & Learn Program at 12 noon. 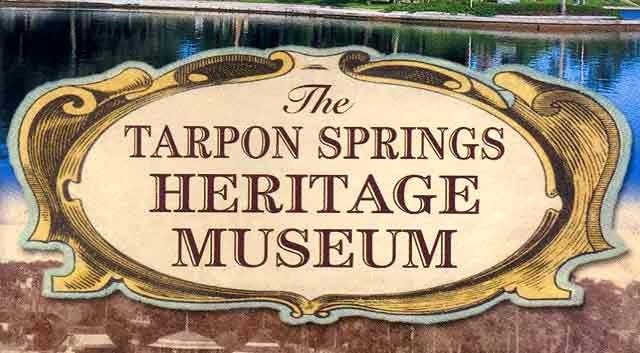 The Tarpon Springs Heritage Museum is located at 100 Library Lane in Tarpon Springs.